As expected, President Trump has designated Maureen K. Ohlhausen as Acting Chairman of the Federal Trade Commission. “I am deeply honored that President Trump has asked me to serve as Acting Chairman of the FTC and to preserve America’s true engine of prosperity: a free, honest, and competitive marketplace,” Ohlhausen said. “In pursuit of that mission, I will work to protect all consumers from fraud, deception, and unfair practices. I will safeguard competition while preserving American innovation and promoting economic liberty for all citizens. Finally, I will ensure the Commission minimizes the burdens on legitimate business as we carry out this vital work,” she said. Ohlhausen, a Republican, has been a member of the commission since being nominated by President Obama in 2012. Her term expires in September 2018. 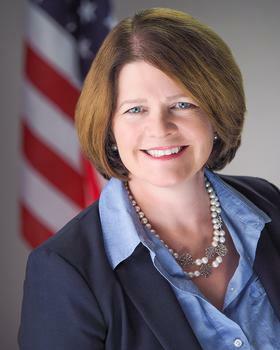 She is at present one of three commissioners on the FTC, which is supposed to be made up of five commissioners. There will be only two when Chairman Edith Ramirez' resignation becomes effective Feb. 10. The third is Terrell McSweeny, a Democrat, whose term expires in September 2017. A maximum of three commissioners can be from the same party, so Trump will need to nominate two Republicans and one Democrat to bring the commission up to its authorized strength.